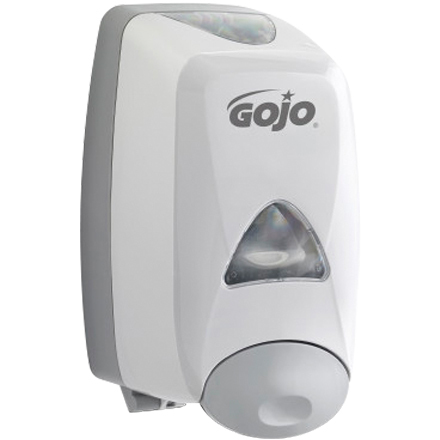 Dispenses foam soap at the push of a button. No drip design to keep counters clean. Use with 1,250 mL refills - 1,780 applications per cartridge. Luxury Foaming - Cranberry Fragrance, Green Certified Foam - Fragrance-Free, Antibacterial - Fruit Fragrance.